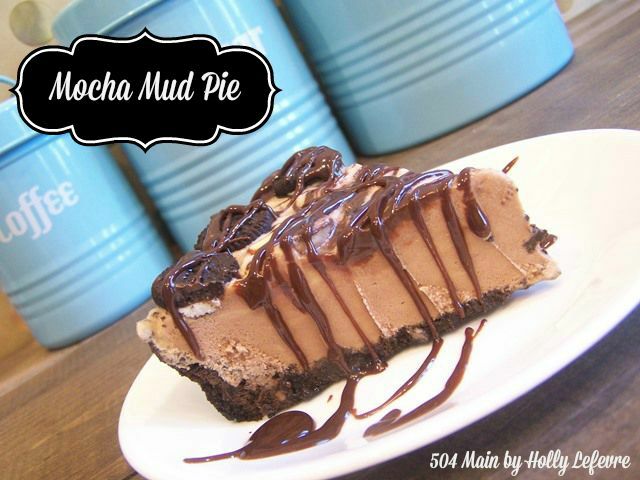 This pie is pretty easy to make - easy enough that you could whip it up and be able to enjoy if for dessert tonight. 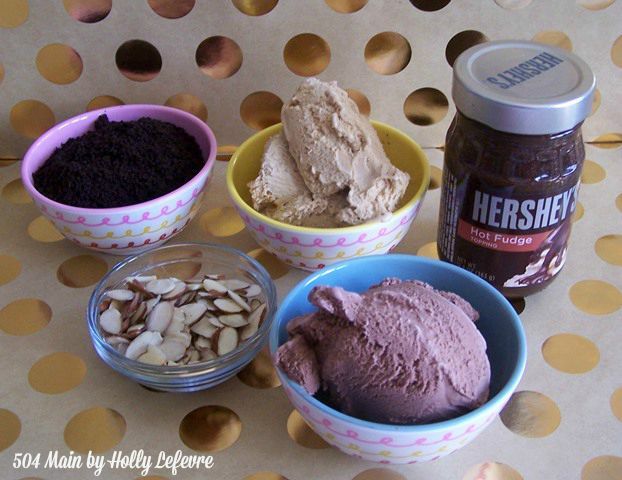 Of course you can make your own ice cream, but for this version we are sticking to store bought ice cream. NOTE: You have to work quick if you live in a hot area - it is ice cream, after all! Be prepared, have your ingredients ready and your work surface prepped. If I can make this pie in the heat of a Texas summer, you can manage it too! Optional for decorating, mini Oreos, crushed Oreos. I was lucky to be able to use some amazing products from Ginny's - be sure to visit those links! And head over to Ginny's to enter to win one of 5 $250 giftcards! Scrape/Remove the creme filling from the Oreos using a butter knife. Place cookies in a food processor and process until they are fine crumbs, resembling coffee grounds. In a mixing bowl, combine the cookie crumbs and butter together and mix thoroughly. 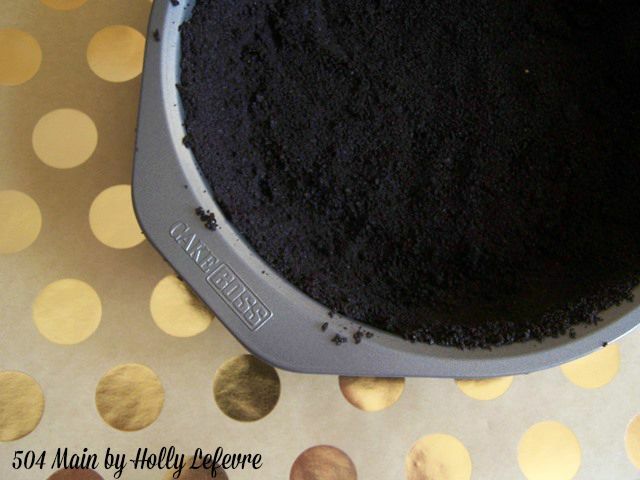 Place the cookie crumb mixture into the pan and press down and onto the side of the pan to create a crust. I use a small glass bowl to press the crumbs down and up onto the sides firmly. Bake for 10 minutes in the 350F oven. 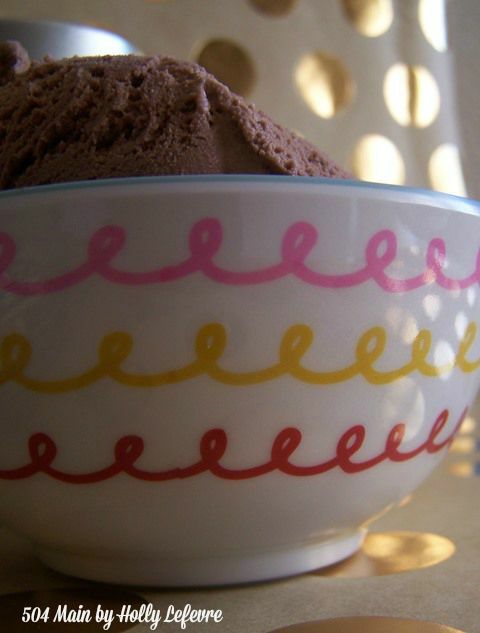 Let coffee and chocolate ice cream soften. Individually, stir the ice cream into a creamy texture. 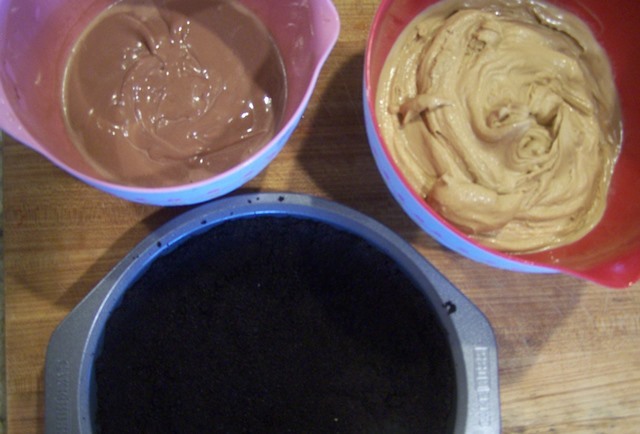 Add the creamed chocolate to the coffee ice cream and thoroughly combine. 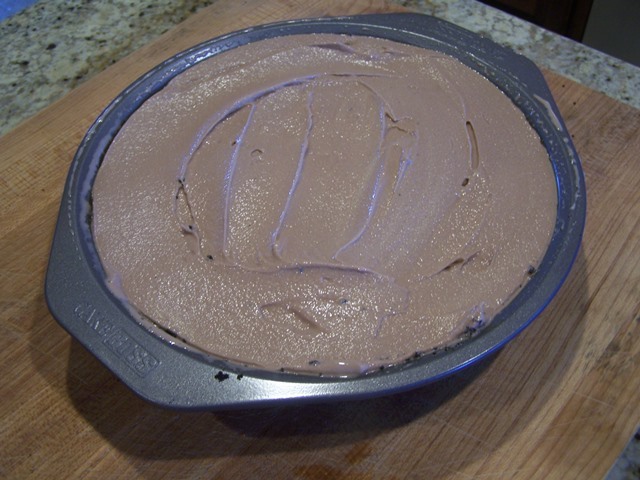 Put the creamed ice cream mixture into the cooled pie crust and smooth out with a spatula. 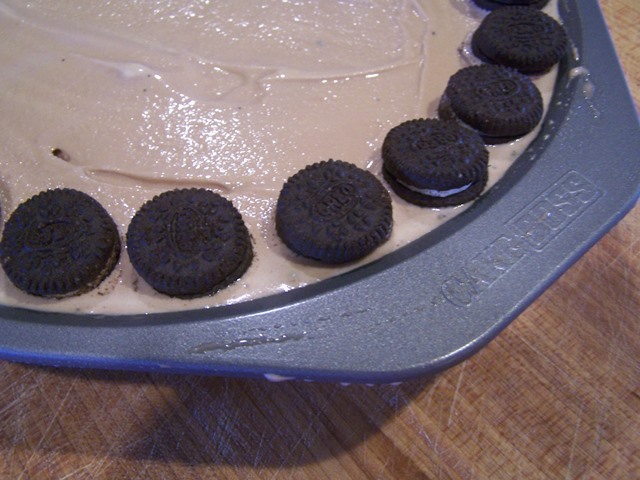 Place mini Oreos around the outside edges on the pie tin. Sprinkle toasted almonds all over the top of the pie. Heat 1/4 cup+ of the hot fudge and drizzle it all over the pie. I use a spoon and go back and forth horizontally, then turn the pie tine and do it criss-crossing the other drizzles. Place the completed pie back into the freezer to firm up. It needs at least 4 hours (Overnight is best). Crush cookie and sprinkle all over the pie. Sprinkle Toasted almonds all over the pie. Heat 1/4 cup+ of the hot fudge and drizzle it all over the pie. I use a spoon and go back and forth horizontally, then turn the pie tine and do it criss-crossing the other drizzle. All that is left to do is enjoy...and enter these amazing giveaways! 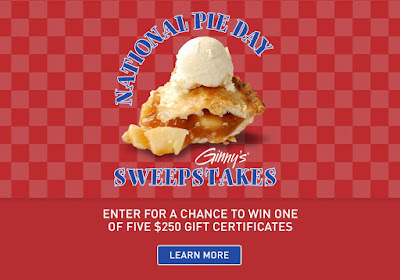 First...head over to Ginny's to enter to win one of 5 gift cards for $250 each! (Open to US based residents). Just click right here to enter. 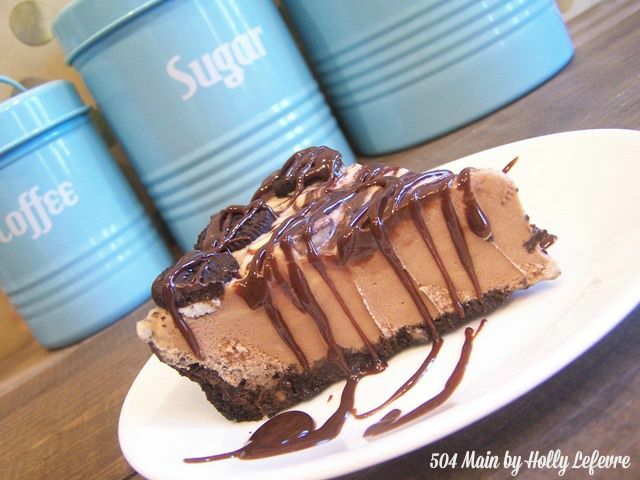 Happy National Ice Cream Pie Day! 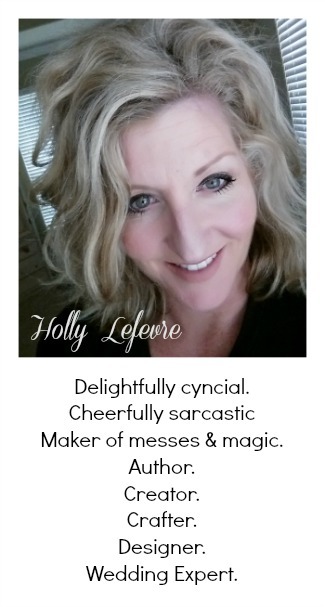 This post is written and created at 504 Main by Holly Lefevre disclosure: Compensation for this post is supplied by Ginny's. Opinions and original recipes are from 504Main. Strawberry Rhubarb Pie is my favorite with blueberry as a close second! 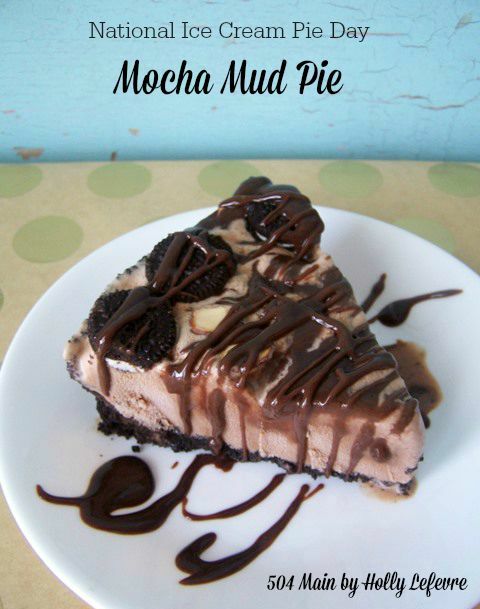 I like pretty much any chocolate-flavored pie, although I tend to avoid coffee-flavored ones. 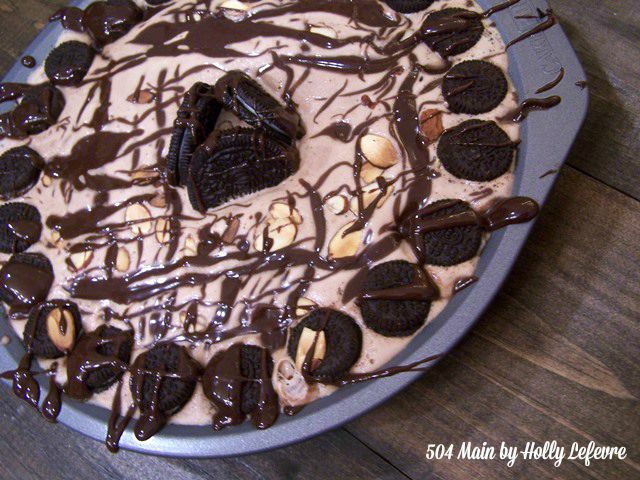 A chocolate oreo pie would be delicious. Banana cream pie is my favorite pie, but I like any cream pie. haha, for real, probably a chocolate pie! Probably warm apple pie - but being in the south? Chocolate Chess is pretty yum, too. I love chocolate and your recipe is great! My all time favorite is Key Lime! I love peach pie that my mom makes. Who Doesn't Want to Be a Mermaid?